Our bathroom is the place we visit several times each day. And each time we enter it, we are engulfed by the atmosphere. The color scheme of the bathroom and its overall design can change our mood and affect the general physical and mental state. That is why it is so important to create a fresh and cozy design in the bathroom. However, that is not the only priority when it comes to decorating the bathroom. Everyone who wants to keep up with the times should know the latest bathroom trends and ideas. This useful knowledge will help you decorate your bathroom in the best fashion. Scroll down to find out the most interesting bathroom trends 2018. Style. Vintage style is back in trend. Traditional styling, which has always been popular, makes a comeback this year. All those freestanding bathtubs and vintage shower heads will help you create an old-age look with a unique atmosphere. Shower. Shower enclosures with glass walls and doors are becoming increasingly popular. Shower curtains are not as trendy this year as glass doors. The choices are multiple. You can choose framed or frameless shower doors, made of simple or textured glass. Showers with French doors are an absolute hit of the year. Vanity. Bathroom vanities will allow you to add some storage space and accentuate the overall design of the bathroom. This year, intricate vanities are not in trend. It is better to decide on cabinets with strict minimalist shapes and regular angles. Wall-hung bathroom vanities are also in vogue. Faucet. Bathroom faucets with antique finishes, such as brass, copper, and oil-rubbed bronze are in favor this year. They will look especially appropriate in a bathroom decorated in vintage style. If you want to add some modern chic, choose one of the faucets with high-tech features. Colors. The color schemes that are trendy this year are various, giving you a freedom of choice and imagination. Light and dark, bright and pastel – all colors can be used, as long as they match each other. However, natural, calm colors that help you feel relaxed and refreshed after visiting the bathroom are a priority. Sink. Freestanding sinks and bowl sinks are doubtless favorites of the year. If you choose a bowl sink, you can choose from a variety of fashionable materials – wood, sandstone, granite, ceramic, glass, and more. A bowl sink will give your bathroom an elegant look. Tile. Tiles are still in trend this year. Walls and floors decorated with tiles look stylish and unique. This year, give preference to colorful patterned tiles. Azulejo-styled tiles and tiles with retro patterns will help you create an attractive design with a special charm. Mirrors. 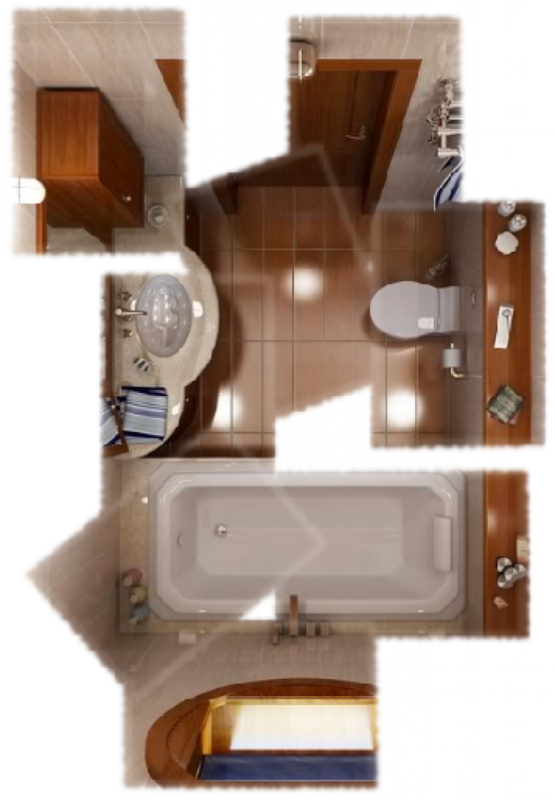 A bathroom with windows seems much lighter and larger. That is why they are a necessity in any bathroom, especially if it is small and has no windows. Pay special attention to round vanity mirrors. The round shape without strict lines and regular angles will add a mild accent to the overall design of the bathroom. No borders. 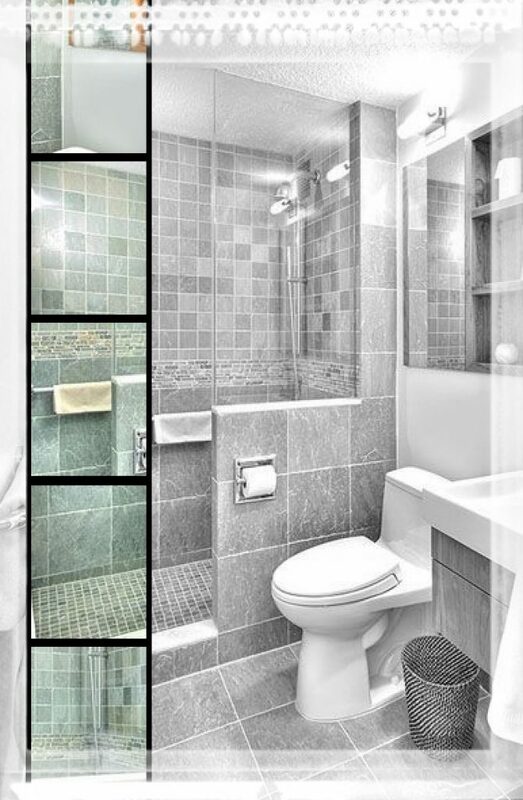 Another new bathroom idea that has won the love of many interior designers is borderless showers. This is an outdoor idea that has been brought indoors. This way, you turn your whole bathroom into the showering area. The drain is installed directly into the floor of the bathroom. Plants. Adding a green element into your bathroom is something that can offer many benefits, apart from being a trend of the year. They will purify and deodorize the air in the bathroom, help you relax and ease stress. Apart from that, they will freshen up the general atmosphere of the bathroom. Bathtubs. Bathtubs are back. Their comfort and design are beating the practicality and compact design of shower enclosures. Most people worry that taking a bathtub requires more water that taking a shower. However, that is not true. Actually, the situation is quite the opposite. A high-flow shower lasting only five minutes consumes as much water as a full bath. Those were the main bathroom trends and ideas of 2018. They will help you give your bathroom a modern look and a fresh feel.